Wix E-Learning program is 45-75 minutes on-line course, that ends with the exam. The course will enable you to learn key information about all aspects of filtration. 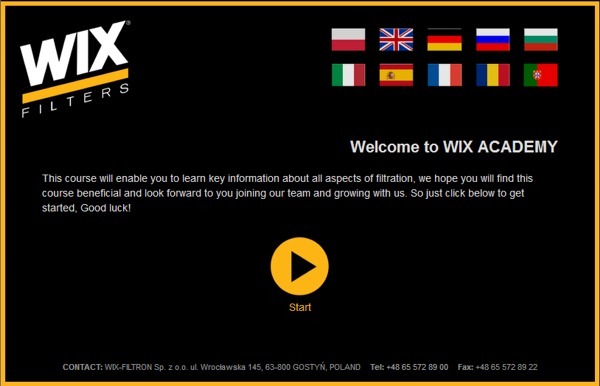 Should you pass, you will become a WIX Certified Filtration Specialist. You will be sent, free of charge, the Wix Certificate in a stylish cover, issued in your name and delivered to the indicated location. We hope you will find this course beneficial and look forward to you joining our team and growing with us.